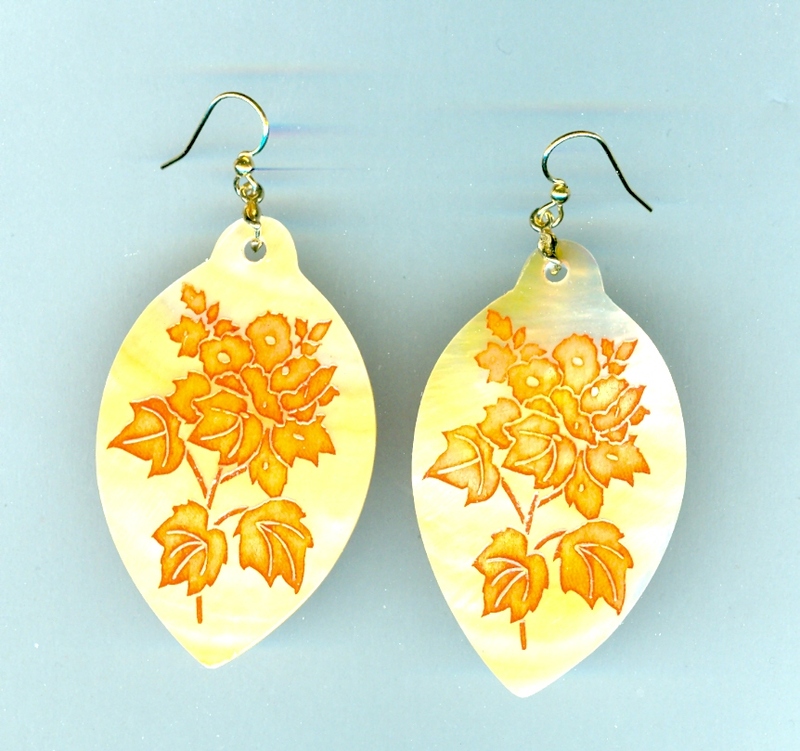 Each is made of a marquis-shaped slice of mother of pearl that measures 54x33mm. The background is lustrous gold, while the etched bouquet is frosty tones of copper and rust. 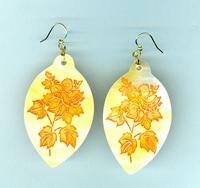 The earrings dangle a total of 2-1/2 inches from the tops of their gold plate French hooks. Lightweight for summer, with colours that will carry into fall, and priced for all seasons: that's SPARKLE PLENTY for you.